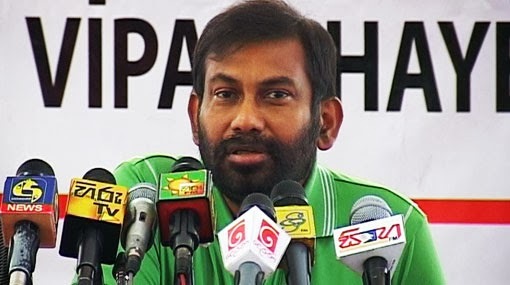 The United National Party today accused the government of turning the country’s election process into a “cricket tournament” and development into exhibitions. UNP National Organiser Daya Gamage stated that when the People’s Alliance (PA) government came to power 20 years ago the country’s debt was Rs 750 billion and that now that amount has risen to Rs 7,500 billion. 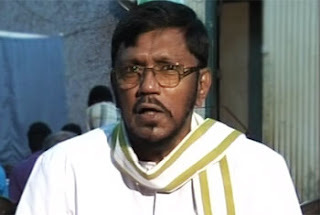 President Mahinda Rajapaska says that the Tamil National Alliance cannot ask for the army to be withdrawn from the Northern Province and that presence of the military is required to maintain security within the country. 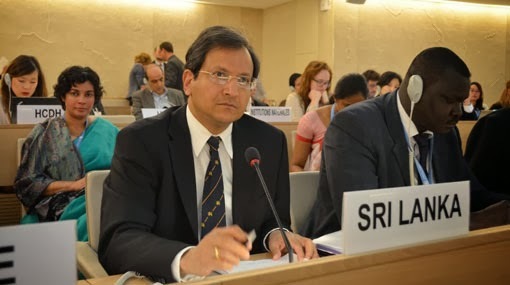 Sri Lanka received strong cross-regional support in the Human Rights Council from countries in Asia, Africa and Latin America on Thursday ( 26 September 2013) which uniformly welcomed and commended the country’s significant progress achieved in the reconciliation process. 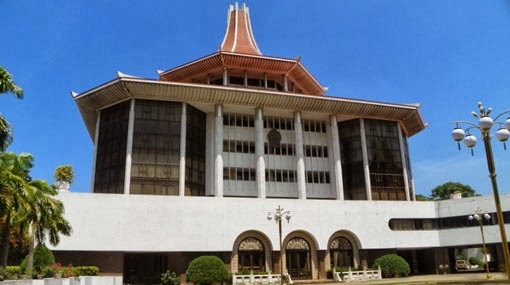 The Supreme Court today determined that land powers are vested with the Central Government and not with the Provincial Councils. It is disturbing to observe the trend within the international arena of some countries interfering in the internal affairs of developing nations under the guise of security and human rights, President Mahinda Rajapaksa stated while addressing the United Nations a short while ago. 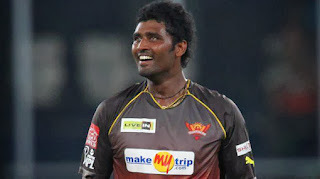 Sri Lanka Cricket today denied reports that all-rounder Thisara Perera indulged in match-fixing during this year’s Indian Premier League, saying that it has full faith in its players. 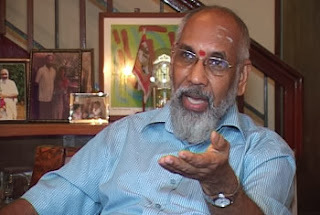 We will do nothing that goes against the law, Tamil National Alliance Chief Ministerial candidate, C.V. Vigneswaran stated after receiving the highest preferential votes in the Jaffna District at the concluded Provincial Council election. The Tamil National Alliance (TNA) secured two -third majority in the elections to the Northern Province Council in Sri Lanka held on Saturday. 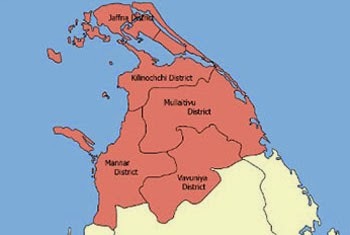 The TNA which is registered as Illankai Tamil Arasu Kachchi (ITAK) obtained 353,595 votes which is 78% of the total votes cast in the first provincial council election after 25 years in de-merged north. 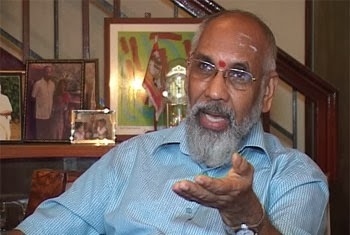 While leaders of political parties in Tamil Nadu have been strident in their demand that India boycott the Commonwealth Heads of Government Meeting (CHOGM) in Colombo in November, C.V. Vigneswaran, chief ministerial candidate of Tamil National Alliance (TNA) in the Northern Province council elections, has called for India’s participation. 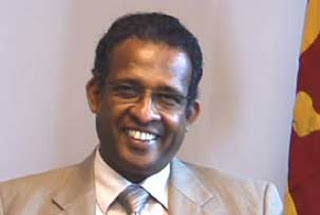 The Tamil issue in Sri Lanka is in the process of being resolved and the country’s government is trying to find a solution to alleged human rights violations, Sri Lankan High Commissioner to India Prasad Kariyawasam said today. The Tamil National Alliance(TNA) manifesto is a clear attempt to divide the country, President Mahinda Rajapaksa has said in an interview with the Indian newpaper Hindustan Times. He adds that this is not a new tactic and that earlier, they used to ask the Tamils to accept the LTTE as their true representatives. 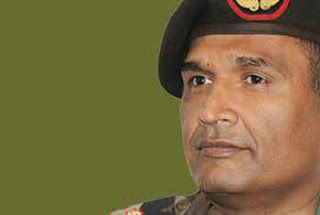 The Commander of the Sri Lankan army in the Jaffna peninsula, Maj Gen Mahinda Hathurusinghe, has said that with the Tamil National Alliance (TNA) glorifying the slain LTTE leader Velupillai Prabhakaran in its campaign for the Northern Provincial Council (NPC) elections, there was a possibility of reactivating about 4,000 former Tiger combatants, who are still at large. The Tamil National Alliance today said it will not bow to the ‘staggering’ reactions towards the party’s controversial election manifesto, which has been termed as ‘extremist’ and ‘separatist’ by the government and its coalition parties. One turning point in the war came when the Sri Lankan navy was able to sink the LTTE supply ships: “Between 2006 and 2008 we destroyed 12 of these floating armouries.” What made this possible? 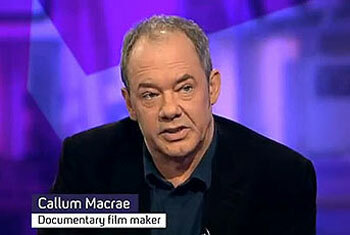 “The Americans were very, very helpful. 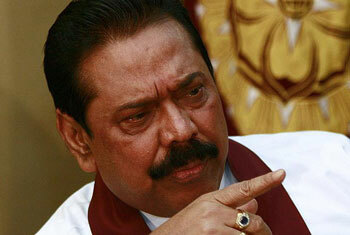 Most of the locations of these ships were given to us by the Americans,” Defence Secretary Gotabaya Rajapaksa says. 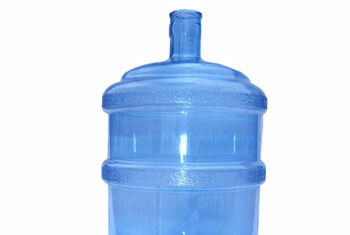 The Health Ministry has decided to remove unregistered ‘Amaron’ and ‘Ceylon Water’ branded mineral water bottles from the market, the Ministry said in a statement. During a raid conducted by the Colombo Municipal health unit in Pettah large stocks of the aforementioned brands were seized. Controversial Channel 4 News and documentary maker Callum Macrae is scheduled to travel to Sri Lanka to cover the Commonwealth Heads of Government Meeting (CHOGM), British Media reported today. 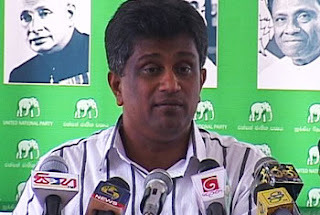 The Tamil National Alliance (TNA) will never be able to achieve anything by capturing the Northern Provincial Council because they will not receive the funds required to deliver the service to the people through the 13th Amendment, says UPFA chief ministerial candidate S. Thavarasa. 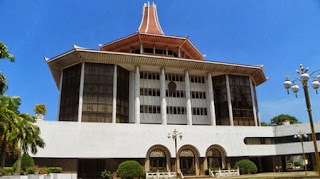 UNP Member of Parliament Ajith P. Perera today demanded that the Governor of the Central Bank of Sri Lanka, Ajith Nivard Cabraal step down from his post immediately, and accused the latter of leaving out data on malnutrition from Central Bank reports. Ajith Nivard Cabraal is saying that information regarding malnutrition in the country has never been included in an Annual Report of the Central Bank, Perera said. 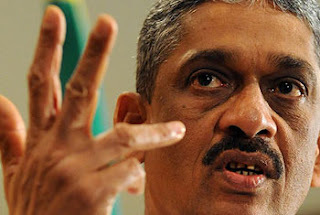 Democratic Party Leader Sarath Fonseka rejected the notion that there are still missing persons who are unaccounted for since the final stages of the war adding that these persons probably perished during that time. 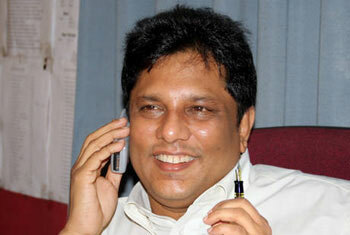 The army intelligence officer arrested in connection with the murder of Sunday Leader Editor Lasantha Wickramatunga has been acquitted from all charges and released by the Mount Lavinia Magistrate’s Court.